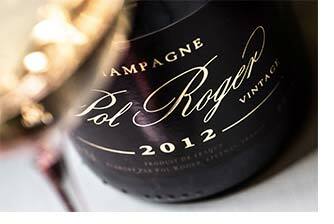 Pol Roger has long had a reputation as the 'English house'. It goes all the way back to their founder's early decision to favour a Brut style, which he knew the English market preferred. It has stayed with them since, and they wear it with pride. But that's far from the only thing they are known for; they have also garnered a reputation as a vintage specialist. Good vintages can be hard to come by in Champagne, where the weather can be capricious even in the best of years; Pol only releases vintage cuvees when conditions allow outstanding fruit. 2012 saw almost every weather event possible, including a rainy start, spring frosts, hailstorms, and a summer heatwave; the effect was to cut yield, but concentrate the fruit. The crop that was brought in in September was small, but of intense quality, beautiful and healthy.